Posted by OromianEconomist in Africa, Ancient African Direct Democracy, Ancient Rock paintings in Oromia, Ateetee, Ateetee (Siiqqee Institution), Black History, Chiekh Anta Diop, Culture, Irreecha, Kemetic Ancient African Culture, Meroe, Meroetic Oromo, Oromia, Oromiyaa, Oromo, Oromo Culture, Oromo Identity, Oromo Nation, Oromo Wisdom, Oromummaa, Philosophy and Knowledge, Qaallu Institution, Qubee Afaan Oromo, Sirna Gadaa, State of Oromia, The Oromo Democratic system, The Oromo Governance System, The Oromo Library. fecundity divinity and genealogico-politico-identification structures. Methodologically, the unique Oromo social semiotical and stylystical rhetorics which could be referred as ‘metaplasmic witticism’ and the role of Qaallu Institution sub-themes as sensitizing devices and the emergent directions for future research are all presented in this report. BP” (Shaw and Jameson 1999:349) and comprising depictions of bovines and many different types of animals. 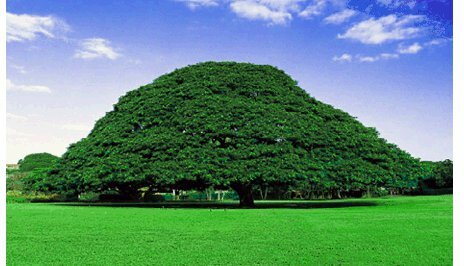 This vast land of Hararqee is settled by the Oromo, the largest tribe of the Cushitic stock, and hence it is part of the Oromia National State. The Oromo people, one of the richest in ancient (oral) cosmogonal- social history , literature and especial owners of the unique socio-philosophico-political institution known as Gada or Gada System, consistently insist that theirs as well as human being’s origin is in the Horn of Africa specifically a place known as Horra βalabu/Ŵolabu ‘the Place of Spring-Water of Genesis of Humanity’ (Dahl and Megerssa 1990). This and a plethora of Oromo social epistemology has been studied by the plausible Oromo historians (Gidada 2006, Hassen 1990, to mention a few) and non-biased European theologico-ethnologists (Krapf 1842; De Abbadie 1880; De Salviac 1980, Bartels 1983, to mention a few). Similarly, social semiosis is not new to the Oromo. Although Eurocentric archaeologists rarely acknowledge, “the identification of cultural themes and symbolic interpretation has revealed affinities between contemporary Oromo practices and those of other East African culture groups, both ancient and modern (Grant 2000: np. ).In like manner, the Classical Greek philosophers wrote that the Ancient Ethiopians were “inventors of worship, of festivals, of solemn assemblies, of sacrifice, and of every religious practice” (Bekerie, 2004:114). The oral history of the Oromo states that it was Makko Billii, whom Antonio De Abbadie, one of the early European scholars who studied and lived with the Oromo, described as “African Lycurgus” (Werner 1914b: 263; Triulzi and Triulzi 1990:319; De Abbadie 1880) and son of the primogenitor of the Oromo nation (Raya or Raâ), who hammered out the antique, generation-based social philosophy known as Gada System (Legesse 1973, 2006; Bartels 1983; Gidada 2006). A key ingredient in Gada system is the For Oromo, the first Qaallu “Hereditary ritual officiant” and “high priest” was of “divine origin” and, as the myth tells us, “‘fell from the sky itself’…with the first black cow” and he was the “‘eldest son of Ilma Orma’” (Hassen 1990:6; Baxter, Hultin and Triulzi 1996:6). In its “dual[ity] nature”, Waaqa, the black Sky-God “controlled fertility, peace, and lifegiving rains… [hence] prayers for peace, fertility, and rain” are the core recursive themes in Oromo religion (Hassen 1990:7). Hence, the concept/word Qaallu refers at large to “Divinity’s fount of blessings in the world” (Baxter, Hultin and Triulzi 1996: 1996: 21). As De Salviac (2005 : 285) explicated “The Oromo are not fetishists. They believe in Waaqa took, a unique universal creator and master. They see His manifestations in great forces of nature, without mistaking for Him.” As a result of this ‘pre-historic’, Spinozaean like social epistemology, but unlike Martin Heideggerean “ancients” who never dared questioning or confronting ontology but endorsed only veneering it, for the Oromo social semiosis has never been new since time immemorial. Despite all these antique history and tradition, it is unfortunatel, the so-far few studies made on the Ethiopian ancient rock paintings and rock arts never consider—sometimes apparently deliberately isolate–the social history, tradition, culture or language of the Oromo people as a possible explanatory device. What the available few studies usually do is only positivist description of the paintings (types, size and/or number of the signs) rather than inquiry into and explanation of the social origin and the underlying social meaning, praxis or worldview. Partly, the reason is the studies are totally dominated by Eurocentric paradigms that de-Africanize and extrude the native people and their language, religion, social structure, material cultures and, in general, their interpretive worldview. Besides, some of the native researchers are no different since they have unconditionally accepted this Eurocentric, hegemonic epistemology (Bekerie 1997; Smith 1997; Gusarova 2009; Vaughan 2003). As a result, we can neither understand the social origin of these amazing ‘texts’ nor can we explain the underlying social semiosis.. Equally, under this kind of mystification or possible distortion of human (past) knowledge, we miss the golden opportunities that these ancient documents offer for evolutionary, comparative and interdisciplinary social science research and knowledge. Above all, the old Eurocentric view narrowed down the sphere of semiotics (archaeological, social) to only ‘the sign’, extruding the human agents or agency and the social context.  Rather than constructing separate accounts of the various semiotic modes – the ‘semiotics of the image’, the ‘semiotics of music’, and so on – social semiotics compares and contrasts semiotic modes, exploring what they have in common as well as how they differ, and investigating how they can be integrated in multimodal artefacts and events. we build evolutionary perspective to analyzing pre-historic arts. imagined as giants! ), who had once occupied large stretches of the Harar Province before they were destroyed by the supernatural powers through natural catastrophies as punishment for their inordinate pride. This occurred prior to the Galla (Oromo) incursions into these areas during the 16th and 17th centuries” (Cervicek and Braukämper 1975: 49; emphasis added). is about a “wealthy” Oromo man called “Barento” who was “very rich but very proud farmer” (Sumner 1996: 26). on their social philosophy/paradigm, literary/figurative symbolism, and/or their word’s/language’s phonology/syntax, for instance, equivalent to the English ‘woman’, they might have also depicted a picture of a pigeon, or an owl or a cow. This zoomorphic mode of representation as the ‘Sign-Language of Totemism and Mythology’ was the first and early writing system in human history. The Ancient Egyptians used the principles of, among others, sound-meaning association, semantic and ontologic (what something/somebody can cause) similarization, physical resemblance, grouping (duplication or triplication of the same pictograms to represent meaning), aggregation (pictograms are combined in or around a spot or a pictogram is duplicated as many as necessary and congregated in or around a spot), sequencing vertically or horizontally (representing lexico-grammatic, syntactic, semotactic or stylistic structure) and so forth. content and concrete situation in life” (Sumner 1996:17-18). Professor Claude Sumner, who produced three volume analysis of Oromo wisdom literature (Sumner 1995, 1996, 1997), sees that like any “ancient texts”, in Oromo wisdom literature, “a same unit of formal characters, namely of expressions, of syntactic forms, of vocabulary, of metaphors, etc., which recur over and over again, and finally a vital situation…that is a same original function in the life of [the people]” (Sumner 1996:19). An elderly Oromo skilled in Oromo wisdom speaks, to use the appropriate Marxian term, ‘historical materialism’, or he speaks “in ritual language, as it was used in old times at the proclamation of the law” (Bartels 1983:309). 70), in “the long string of rhyme, which consists of repeating the same verse at the end of each couplet” or “series of short sententious phrases” that are “disposed to help memory” (De Salviac 2005 : 285). The highly experienced researchers on the ancient Oromo system of thought, which is now kept intact mainly by the Booran Gada System, emphasize that “‘the philosophical concepts that underlie the gadaa system’…utilize a symbolic code much of which is common to all Oromo” (Baxter, Hultin and Triulzi 1996: 21). Long ago, one scholar emphatically stated, this is a feature “surely has developed within the [Oromo] language” and “is also only imaginable in a sonorous language such as Oromo” which “as a prerequisite, [has] a formally highly developed poetical technique” (Littmann 1925:25 cited in Bartels 1975:899). Claude Sumner formulates a “double analogy” tactic as prototypical feature of Oromo wisdom literature, i.e., “vertical” and “horizontal” parallelism style (Sumner 1996:25), known for the most part to linguists, respectively, as ‘paradigmatic’ (‘content’ or ‘material’) and ‘syntagmatic’ (‘form’ or ‘substance’) relations or in both literature and linguistics, as contextual-diachronic and textual-synchronic, relations. Oromo social epistemological concepts/words/signs offers important data for historical and evolutionary social sciences for they recycle and, consequently, are resistant to change both in form and meaning (Legesse 1973). In the same way, in this analysis of the ancient rock paintings of Hararqee, an evolutionary and multidisciplinary analysis of the interrelationship among the traditional ‘semiotic triangle’—the sign (sound or phonon, word or lexon, symbol or image), the signified (the social meaning, ‘semon’, episteme or theme) and the referent (cultural-historical objects and ritual-symbolic actions)——and among the metonymic complex (referring here to layers and clusters of semiotic triangles in their social-natural contexts) is assumed as vital meta-theoretical framework. Oromo religion founded on Waaqa, the Black Sky-God. Qaallu Institution and the praise to the cattle Above, under Introduction section, we briefly touched upon the mythical-social origin of the Qaallu Institution and its relation with genesis and cow-milk. Qaallu comes from the gerundive qull (qul’qullu, intensive) ‘pure, holy, sacred, blameless; being black, pretty, neat’, pointing to the color and quality of Waaqa (see Bartels 1983; Hassen 1990 for detail).. The “ancient” Qaallu Institution of Oromo (Baxter 1987: 168 quoted and elaborated in Gidada 2005: 146-147) had been widely practiced in Eastern, Hararqee Oromo until the first half of the 20th century. It is as much cosmogonal, cosmological and ideological (identificational) as it is theo-political to the Oromo nation, in particular, and, at large, the pre-colonial (pre-Christian, pre-Islam) Cushite who uniformly believed in Water, as a source of life and on which life is unilaterally dependent, and in Waaqa–a concept/word that means, on the one hand, the abstract ‘Supreme Being, God, Devine, Heave’ and, on the other, the ‘concrete’ ‘Sky, Divinely Water (rain)’. For Oromo, the first Qaallu “a high priest”, the “spiritual leader” was of “divine origin”, as the myth tells us, “ ‘fell from the sky itself’…with the first black cow” and he was the “‘eldest son of Ilma Orma’” and in its “dual nature”, Waaqa, the black Sky-God “controlled fertility, peace, and lifegiving rains…[hence] prayers for peace, fertility, and rain” are the core recursive themes in Oromo religion (Hassen 1990: 6-7). For more on Oromo genealogical tree and history, see Gidada (2006), Bartels (1983), BATO (1998), to mention a few. ú]. The milk from the latter then promotes human satisfaction and fertility (Dahl and Megerssa 1990: 26). and imbalance” (Legesse 2000: 134). Hence, the separation of the most senior or ancient moieties or the cradle land imitates hariera ‘lumbar and sacral vertebrae’ (other meaning ‘queue, line, suture’) or horroo ‘cervical vertebrae’ of the bull. Bira watilee koo–and also you, my calves. Ǧeɗ’e malee maali–Could I say otherwise? Yá saa, yá saa—o cattle, o cattle! Saa eessa ǧibbu?–What part of cattle is useless? representations… painted black [and] white-dotted” and consistently painted “below” the cow udder (see Fig.2B). č’iič’oo gurraattii” ‘God of the dark č’iič’oo milking-cup’ (Sabaa 2006:312). The deadjectival č’óč’orree means ‘white dotted (black background); turkey or similar white dotted bird’, while Waaɳč’ee is a proper name for white-dotted cow. recite their settlement pattern in the anatomy of Korma the virile ‘buffalo-bull’ or ‘macho man’: Sibuun garaača. Haruu č’inaacha, Leeqaan dirra sangaati, ‘The Sibuu [Sabboo] clan is the abdomen, the Haruu [Hooroo] is the ribs, and Leeqaa is the chuck of the bull’ (BATO 1998:164). meaning the person has the natural capacity, inherited from ancestors, to prophesize, foreknow. For this reason, “white-headedness” or wearing white turban is a symbol of (passage to) seniority or superordinate moiety (Kassam 1999). As usual, there is “intimate link…between form, content and concrete situation in life” (Sumner 1996:17-18). practice political leadership (Legesse 2006:124-125). Doorii…over the Qaallu…make me form the morals of the youth!! !…” (De Salviac 2005 : 213). See Fig.4B. or power exchange is as adequately abstracted in the phrase as in the iconicity of the balanced bokkuu. Besides, the horooroo stick with a knob (bokkuu) on one side and a v-/y-shape (baalli) on the other side is a semagram and semotactic for the same concept of symmetricality principle, i.e., Bokkuu Baalli. women on the breastplate or forehead or worn to č’ooč’oo, č’iič’oo milk-pots, symbol of “a woman’s sexual and reproductive organ” (Østebø 2009: 1053). See also Fig.5F and G.
Mačč’a and Raya/Raã. Here, it is fascinating to observe the unique social semiosis at work—selecting and stitching (qora) the language and world according to the semblance and image the reality (world) offers as a cognitive possibility to operate upon. cowries of “giant snail shells…kept with a string made. bride “gives the gundo to her groom’s mother. She herself now takes his [bridegroom’s] spear and his stool. some milk, and then passes it on to his friends, who all drink in turn. ‘reproductive faculty’ (ʂaɲɲí), a capacity to generate many that, yet, keep alikeness or identity (ʂaɲɲí). My little man slobbers over his breast. The skin clothes are short. The shepherd with the stick! He who milks with the ropes! He who takes the milk with the pot! They’ve [come home] again and made the pot. Fig.6 especially the silhouette-like background and in C an evil-eye motif is seen watching from above. How much gold has it brought forth? Who is the mother who has given birth to you? I would have kissed her navel. symbolizing cordiality, wish to long-life and strong bond, protection of the child (see also Hassen 1990: 21). 1999:494). From this worldview comes Oromo concept of Ḿootumma ‘rule, government, state, kingdom’:[Ḿootumma comes] from moo’a, autobenefactive: moo’ď/ʈ, is a cattle image. For example, Kormi sun him moo’a, “that bull is in heat” and sa’a sun iti moo’a ‘he is mounting that cow’. With reference to human beings, the implication is not necessarily sexual, but can denote superiority or dominance in general. An moo’a, an mooti is a formula of self praise by a new Abba Gada during his inauguration (Shongolo 1996: 273). observe, a heifer (cow?) whose head is faced upwards (possibly Elellee heifer). justice, and in the king’s absence they can pass sentence in minor cases; but all they do is done by his authority. 2011:2, 17), the very word qallača itself is a metasemiotic language, meaning ‘symbolic interpretation’.